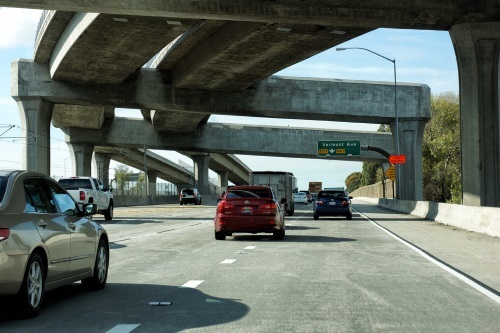 The American Road & Transportation Builders Association issued six regional reports on July 31 in support of California’s Senate Bill 1, the Road Repair and Accountability Act of 2017. State voters will consider a proposition on the November ballot that would repeal the law. ARTBA’s research indicates that SB 1 will generate between $9.7 billion and $34.5 billion in economic activity and user benefits across six major regions of California over the next decade, with the $5 billion in yearly investment for the state’s highways and local streets, bridges and transit systems coming from increases is state fuel taxes helping create “tens of thousands” of new jobs. Alison Premo Black, ARTBA’s chief economist, added that those regional reports build upon a statewide analysis released back in February concerned the impact of SB 1; analysis that found the law will generate nearly $183 billion in economic activity and user benefits throughout all sectors of the state’s economy over 10 years. That additional demand, in turn, will support or create an average of over 68,200 jobs per year, she said, adding up to over 682,000 job-years over the next decade. In the San Francisco Bay Area, SB 1 will generate $34.5 billion in economic activity and user benefits over 10 years. This includes $9.8 billion in savings for drivers, transit riders and businesses, and $19.3 billion in economic output. In addition, the increased investment will create or support nearly 12,300 jobs per year, totaling 122,932 job-years over 10 years; these workers will earn $5.4 billion. In the San Joaquin Valley, SB 1 will generate $20.1 billion in economic activity and user benefits over 10 years. This includes $4.9 billion in savings for drivers, transit riders and businesses, and $11.9 billion in economic output. In addition, the increased investment will create or support over 6,600 jobs per year, or 66,398 job-years over 10 years; these workers will earn $3.2 billion. In Los Angeles County, SB 1 will generate $29.2 billion in economic activity and user benefits over 10 years. This includes $6.8 billion in savings for drivers, transit riders and businesses, and $18.0 billion in economic output. In addition, the increased investment will create or support over 9,000 jobs per year, totaling 90,161 job-years over 10 years; these workers will earn $4.3 billion. In the Inland Empire, SB 1 will generate $15.6 billion in economic activity and user benefits over 10 years. This includes $3.3 billion in savings for drivers, transit riders and businesses, and $9.9 billion in economic output. In addition, the increased investment will create or support over 4,900 jobs per year, or 49,598 job-years over 10 years; these workers will earn $2.5 billion. In San Diego and Imperial Counties, SB 1 will generate $13.8 billion in economic activity and user benefits over 10 years. This includes $3.4 billion in savings for drivers, transit riders and businesses, and $8.1 billion in economic output. In addition, the increased investment will create or support nearly 5,000 jobs per year, totaling 49,455 job-years over 10 years; these workers will earn $2.3 billion. In Orange County, SB 1 will generate $9.7 billion in economic activity and user benefits over 10 years. This includes $2.3 billion in savings for drivers, transit riders and businesses, and $6 billion in economic output. In addition, the increased investment will create or support over 2,700 jobs per year, totaling 27,537 job-years over 10 years; these workers will earn $1.4 billion.